Instructor User Guide AnnouncementsHow do I merge Announcements? The function to merge announcements allows for a central course to push out announcements to other courses. For example, a Nursing Program includes twenty different courses. But a single Nursing Program Master course or project site could be used to push announcements out to all twenty of the Nursing Program courses. 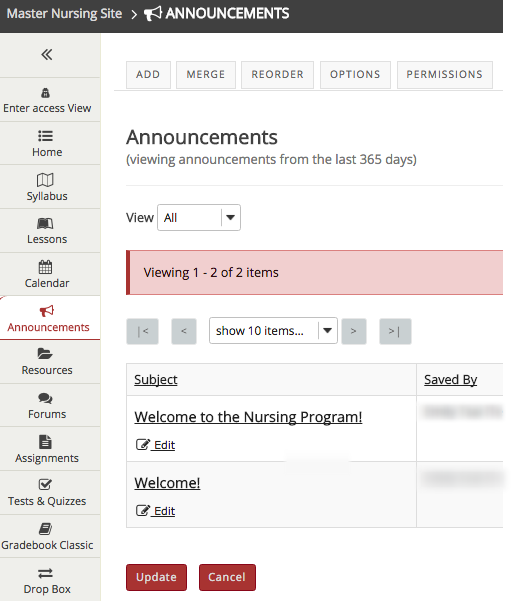 Announcements that are merged from the Master course cannot be edited or deleted in the individual Nursing Program courses. Those courses could create additional announcements that would apply to their specific course only. Those would appear in addition to the announcements merged from the Master Course. 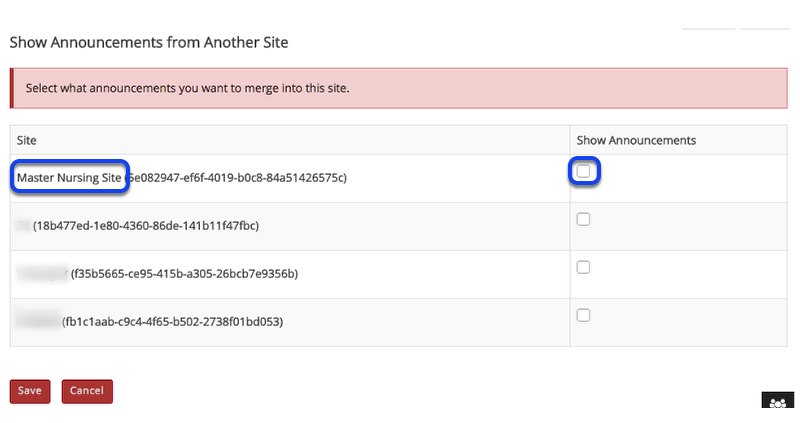 Note: To set up the merge, you must be enrolled in both sites with an Instructor-type role and both sites must have the announcements tool. 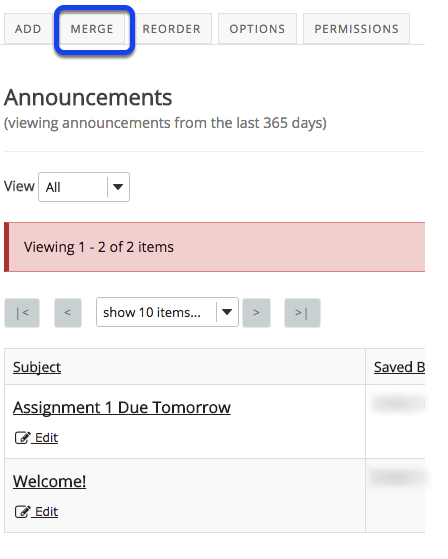 Select the Announcements tool from the Tool Menu in course that will receive the announcements. This image shows the Master Nursing site with announcements created. 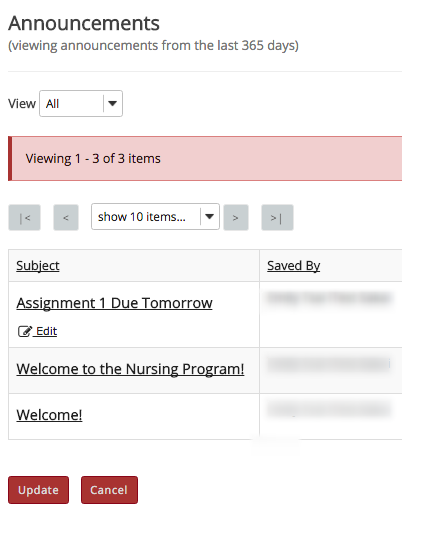 Merged announcements show up in the Nursing 101 Announcements list, but there is no option to edit here. Announcements can only be edited within their site of origin. Edits made in originating message will display in merged sites once they are saved. Prev: How do I delete an Announcement? Next: How do I reorder Announcements?